Merry Christmas & happy "paw-lidays" from my fur clan to yours! I have said it once and I will say it again, I think I missed my calling as pet photographer. Each year my Christmas card gets better and better (see last year and the year before). I will be taking some time off next week to travel, be with my family, bake cookies, and do all those Christmas-y things that make me happy. I hope you get to do the same. awww...they're adorable and great pics! Last year's was fun too! Omg so adorable! 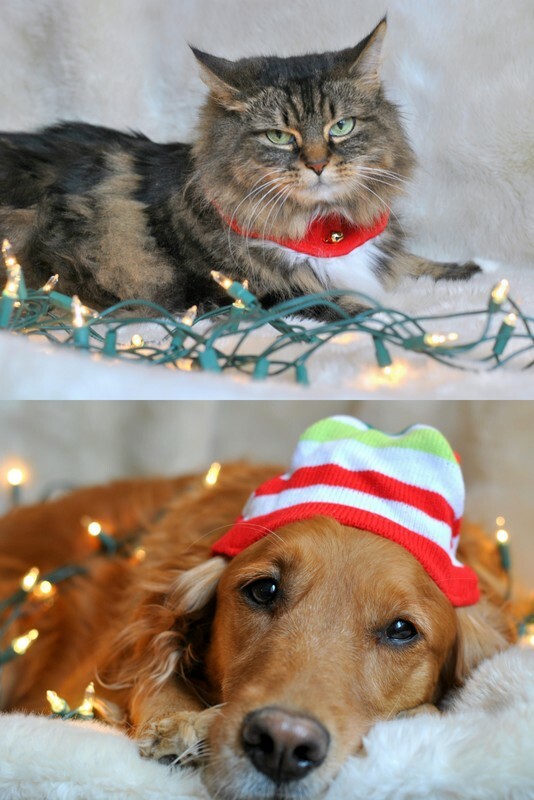 My cat would NOT let these photos be taken! Your cat's face kills me. Love it! Oh wow! those guys looks pretty happy with a Christmasy outfits! Cute!